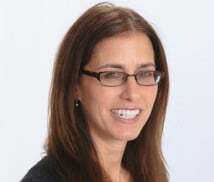 Jill Barnett Kaufman, founder of the Princeton Counseling and Parenting Center, is a Licensed Clinical Social Worker, a Certified Parent Educator and a Distance Credentialed Counselor. She is an experienced clinician with over 20 years of experience of working in the mental health and parent education fields. Her expertise is working with individuals, couples and families on a variety of issues such as communication, emotional intimacy, parenting, infidelity, divorce, pre-marriage and life transitions. How to Cope up With Changes in Marriage After a Baby?